Picture from wicklore : It's out there somewhere! Picture: It's out there somewhere! Commentators have mentioned the difficulty in finding the concrete plinth that houses an Ordnance survey disc marking the summit of Slieve Anierin. 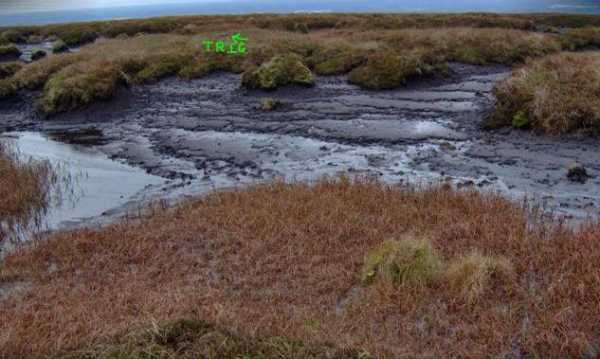 The summit area is relatively flat, with a large area of feet-sucking wet black bog. This danger zone is interspersed with patches of heathery peat, rising from the muck and inviting the explorer to jump from peat hag to peat hag like something out of an Indiana Jones film!